The Devil's Elbow | ACTUAL WEREWOLVES! Being the new kid in school is no picnic. At your old school you had tons of friends, but now you don’t even have one. Then you meet Nick. He asks you to join the Horror Club. 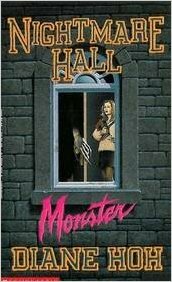 The Horror Club meets in an old mansion known as Bat Wing Hall. It’s dark. It’s spooky. And it’s where your adventure begins. The members of the Horror Club are going on a scavenger hunt. If you join the red team, you find out the truth about your new friends – they’re actually monsters! One is a green-skinned reptile. Another is a hulking giant! 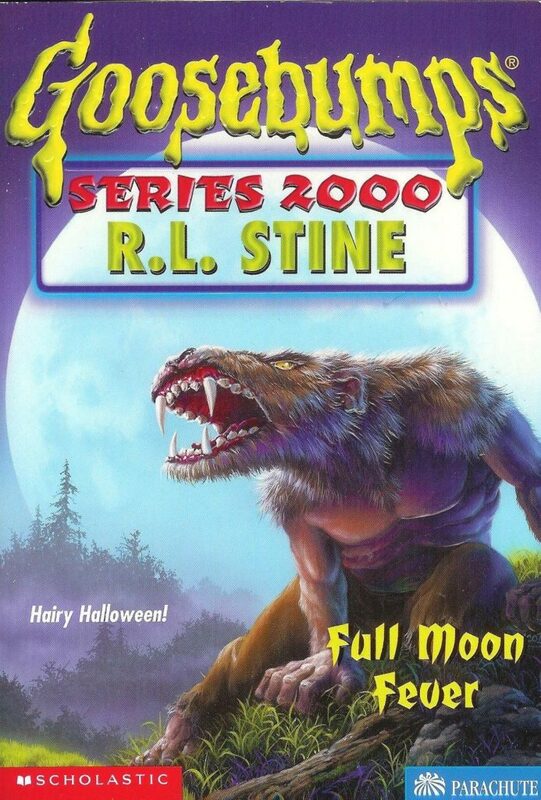 If you join the blue team, you get turned into a furry-faced vampire bat! 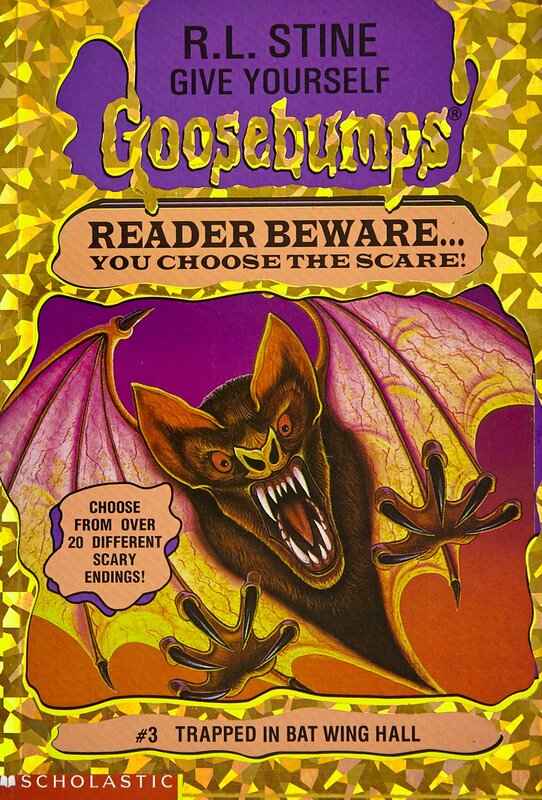 The choice is yours in the scary GOOSEBUMPS adventure that’s packed with over 20 super spooky endings! 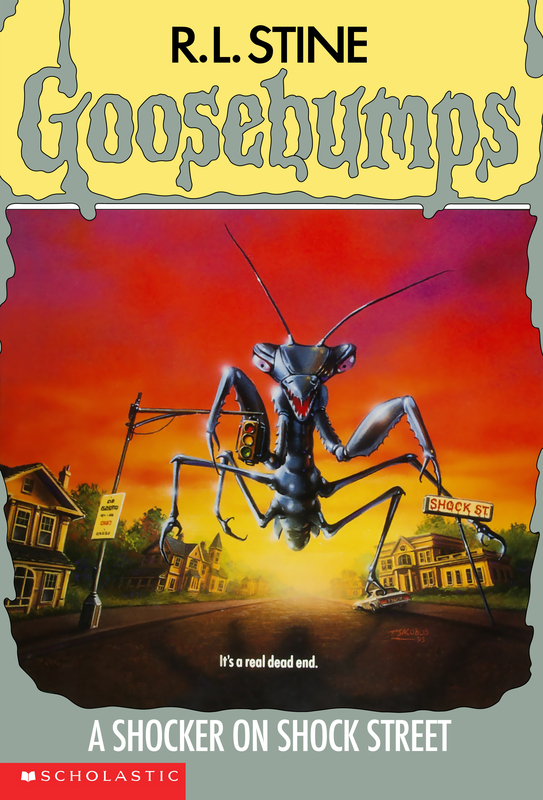 Following up from last year’s “Ghost Camp” review (and you guys probably expected me to cover the sequel) I decided to recap another of my lifelong favorite Goosebumps. “Trapped In Bat Wing Hall” was one of the earliest GYG books I ever read. 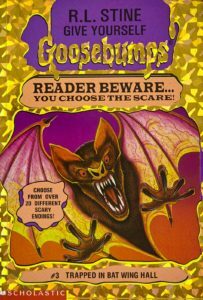 Back in elementary school it was one of the few Goosebumps books that consistently remained in my homeroom back in 4th or 5th grade. It took me years, if not decades, before I finally purchased a copy of my own. I loved it so much I even attempted to write a sequel that ultimately went nowhere. I’m implementing the system I came up with when I reviewed “One Night In Payne House” this previous Halloween. Since the book diverges into two different storylines, the recap will consist of me covering both of them as far into a good ending as I can. I feel Wing will very much enjoy some of the first storyline, but unfortunately there ARE spiders in this story. Not a giant, two-headed sentient ghost spider, but spiders nonetheless. Posted in Snark at the Moon! recaps | Tagged ACTUAL DEATHS!, ACTUAL WEREWOLVES!, awesome lead characters, comments by bat, cool location, recaps by wing, shady boyfriends, supernatural oooooh! 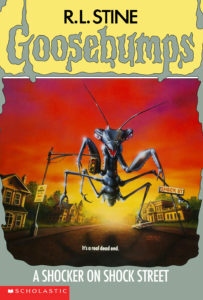 Tagline: It’s a real dead end. Summary: Talk About Shock Treatment! 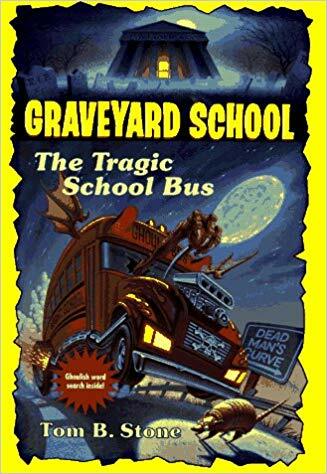 First the tram gets stuck in The Cave of the Living Creeps. Then they’re attacked by a group of enormous praying mantises! Real life is a whole lot scarier than the movies. But Shock Street isn’t really real. Is it? 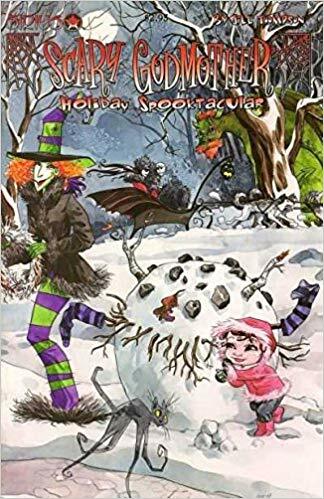 “Shock Street” has been a personal favorite of mine for the same reason as “One Day At Horrorland,” and it’s the world building. 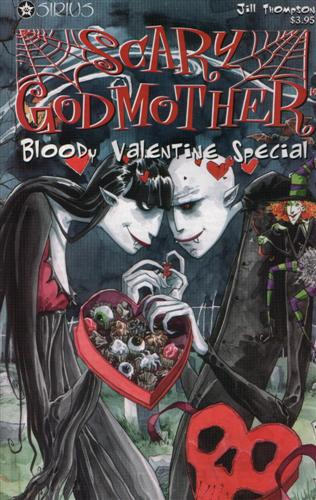 Because the book is built around a fictional horror movie franchise, I’ve repeatedly gone back for re-reads to devour all the information available on the Shock Street films and creatures. You don’t know how delighted I was to learn it was getting a graphic novel adaption, illustrated by comic artist Jamie Tolagson, from Scholastic’s “Goosebumps Graphix” line, which made up for how disappointing the TV show version was. And hey, it meant reference for commissions! 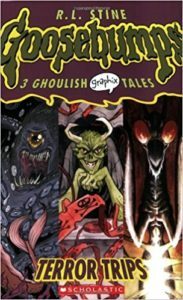 I added a couple of scanned pages from the Graphix adaption; sorry about the quality. Again, I was worried about wrecking the spine. 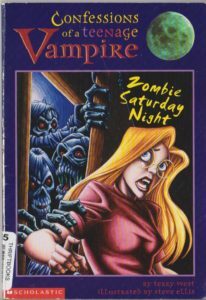 One of my earliest examples of fan fiction, way back in middle school, was my attempt at writing a story about one of the films mentioned in the book. Of course looking back my story was God awful. I still tried to come up with ideas for what the different Shock Street movies were about, which I’ll get into during the final thoughts alongside a small gallery of commissions of Shock Street monsters.